Thackeray director Abhijit Panse said: "We have already announced the date. 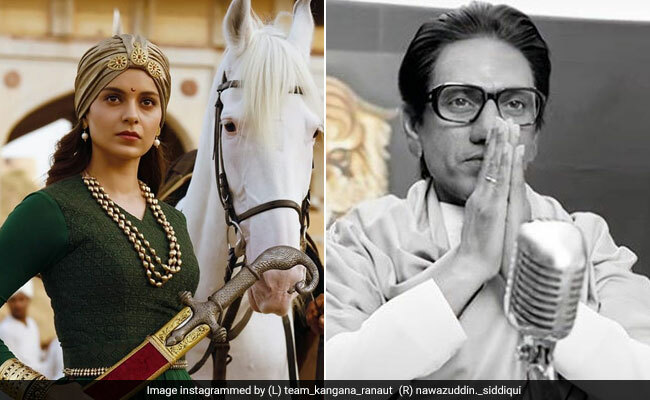 We won't change it"
Director Abhijit Panse, whose film Thackeray will clash at the box office with Kangana Ranaut's Manikarnika: The Queen Of Jhansi and Emraan Hashmi's Cheat India on January 25, in an interview to news agency IANS said that he is not worried about the box office clash of the movies. "We have already announced the date. We won't change it. We were thinking of releasing it on January 23, which is Balasaheb Thackeray Sir's birth anniversary date but later we thought of releasing it on 25th," IANS quoted the filmmaker as saying. Thackeray is the biopic based on Shiv Sena founder Balasaheb Thackeray, the trailer of which was released on Wednesday. Nawzuddin Siddiqui is playing the titular character in the film. Thackeray director Abhijit Panse added that the audience is well aware of things and will watch a film if it's "good". "As far as other films are concerned, every year, more than 52 films are made. So, every Friday, either one or two or three films release. The public knows everything and will see Manikarnika as well as Cheat India. If the film is good, it will work. As a director, I want all the films to work," said Abhijit Panse. Manikarnika: The Queen Of Jhansi is the biopic on Rani Laxmi Bai, who shines as a significant figure on the pages of Indian history for her rebellion against British Raj in 1857. Directed by Radha Krishna Jagarlamudi (Krish) Kangana is playing the titular role in the film. Speaking about the film in an earlier interview to IANS Kangana had said: "I am extremely proud of this film, portraying a character who empowers and inspires. We have put in our heart, blood and sweat into making this film. Manikarnika will make each and every Indian proud." Emraan Hashmi's Cheat India is based on education scams in India. Emraan Hashmi plays the protagonist in the film, a henchman, who strikes deals between the rich students and the needy, brainy ones, to fraudulently sit for others' at examinations. Speaking about his character in the film Emraan said: "Well, earlier I had done films where I was satisfied with the process, the experience of making of the film, but the character I am playing in 'Cheat India' is quite close to my sensibility as an individual." Thackeray also features Amrita Rao.